As an Airbnb host you are always looking for minimal investment and maximum return. 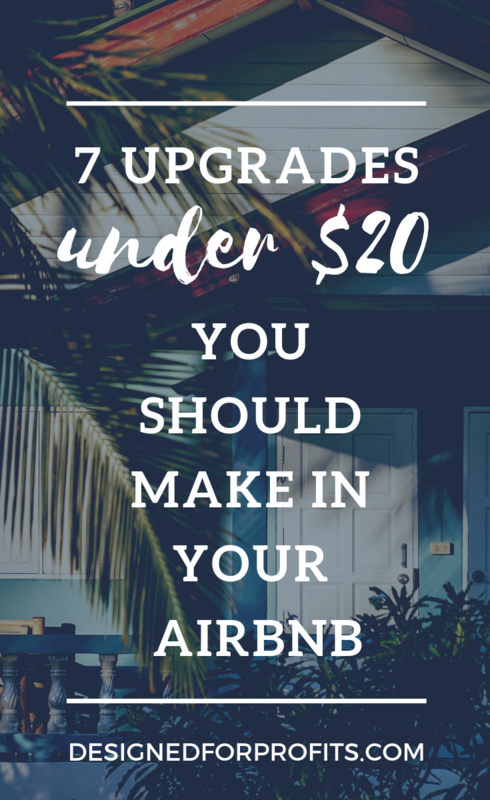 Which is why I’ve put together this airbnb host tip list of 7 items that greatly enhance your guests stay, won’t break the bank, and in return, earn you positive reviews. Please note that this post contains some Amazon Affiliate links. If you buy through these links I will receive a small commission (at no extra cost for you) and you get to enjoy better reviews from happy guests. You can never have too many chargers – is my school of thought, especially since they are often misplaced or forgotten. Your guests will greatly appreciate that you have taken this point of frustration off their plate by providing them with a universal adapter and charging cables. Your guests will love having warm feet at all times – especially since this is an item that can get bulky to pack. Depending on your location – either slippers or flip flops will be something your guests appreciate and will return in positive reviews. Don’t leave your guests in the dark – literally. This is especially true if your vacation rental hosts families with small children – as most guests don’t think (or want ) to pack a night light (or 2 or 3). Make your guests life easier by displaying the WIFI code on a beautiful card and framed for all to see. This can be very helpful especially in higher occupancy homes where one person usually holds this information and is continuously asked for the WIFI code to the point of insanity. Trust me when I say no guest wants to pack shampoo, conditioner or soap to travel with and risk spillage. Give your guests the hotel experience by providing such amenities and if your vacation rental hosts families make their lives easier by providing no-tears toiletries as well. If you don’t have the budget to invest in mattresses than you can still give your guests the comfort of a good night’s sleep with comfortable pillows and sheets. And in case you are wondering which color sheets you should get the answer is ALWAYS WHITE. White sheets are easy to wash and bleach. Why you should investing a in a first Aid kit is a no brainer and I recommend that you should have at least one in your vacation rental, if not more. Just be sure to let your guests know that you have one and where they could find it so no matter the emergency you got them covered. I hope you found this list useful and know that these investments will pay you in kind with great reviews and happy returning guests. If you haven’t done so already please be sure to check out how you can increase inquires to your vacation rentaland fully maximize your airbnb earning potential.